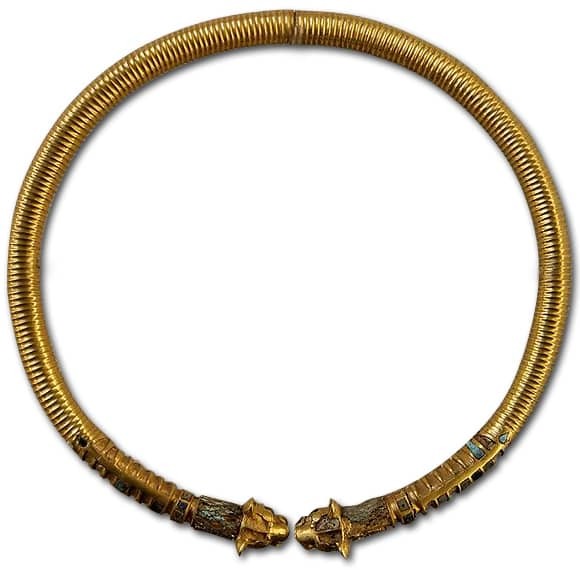 A torc is an ancient Celtic form of neck ring. 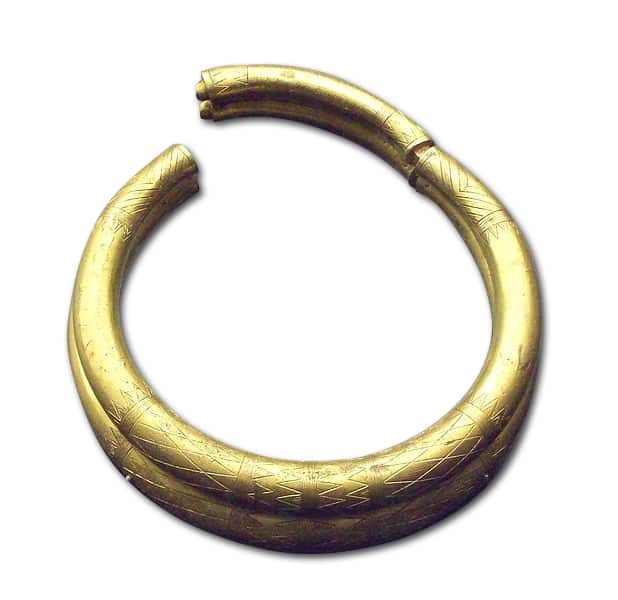 Although items from as early as 1800 BC have been found in Egypt that resemble torcs, the name is commonly used for bronze, iron or golden neck rings from the European Iron Age. These neck rings developed from simple rings into elaborately decorated ornaments with or without rich terminals. Most Celtic torcs have been found in France but there is an extremely widespread of torc- like ornaments encountered throughout excavations from Spain to the British Isles and Scandinavia and from Persian lands to Egypt. Roman author Pliny writes that torcs were part of the Celtic battle-dress but excavations have revealed mainly women and girls wearing torcs. Torque del Tesoro de Sagrajas.